Online gambling is fun and entertaining and that’s the way every player ought to perceive it. However, there are times when some individuals fall into a trap and let their gambling habits get out of control. Some may not even realize it until it is too late. However, with the right help there is always the chance to overcome gambling addiction and regain control. For the most part, gambling addiction, also known as compulsive gambling, can lead to adverse consequences including a strain on finances and relationships. This type of addiction can interfere with your work, and even set you on a downhill course emotionally. It could lead you to do things you’d never ever imagined such as borrowing from loan sharks and stealing to pay back debts. However, all this can be remedied when you recognize and acknowledge the problem. That’s the first, big important step. Gambling addiction is considered as an impulse-control disorder where compulsive gamblers reach a stage where they don’t realize that they are hurting not only themselves but their loved ones as well. They have the constant urge to gamble whether they are on a winning or losing spree. Happy or depressed, what they need is a regular fix at the reels or at the tables even when the odds are against them. One of the most dangerous aspects of this type of addiction is that gamblers can have a problem without being completely out of control. So, how does one identify this kind of a problem? If you seem to spend more time and money gambling and are more preoccupied with it then this could be the first sign of addiction. In addition, if you find yourself chasing losses then that is a sure sign of addiction. Usually the first symptom is when you really cannot get enough of it or control the gambling urge. Most people suffering from compulsive gambling find the need to be secretive about it and are worried that they would be misunderstood. They also have a great urge to gamble until they have spent every cent they have. Not only are they secretive about their gambling habits, they are defensive too. Their increasing desperation for finances is another sign of symptom for compulsive gambling. 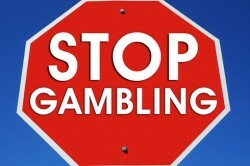 It is important to bust a few myths about gambling addiction before we go any further. •	One of the biggest myths is that gambling everyday is a sign of problem gambling. The truth is that even if you gamble infrequently it can still lead to problems. •	Some believe that their partners led them to become problem gamblers. However, passing on the buck and blaming someone else is a clear indication of avoiding responsibility for their actions. •	Hey, I have the money so what’s the problem? This is one of the biggest problems even though you may be able to afford gambling. Spend too much time on gambling and you could hurt your relationships, lose good friends and potentially drain your bank accounts no matter how much your income may be. Many professional gamblers have lost millions in one go so there is no guarantee that you are safe in any way. •	Another quick fix solution that some family and friends believe in is helping a problem gambler clear their debt. The truth is that bailing out a gambler could often worsen his or her gambling problem. There are quite a few attributes that are part of the compulsive gambling process. The most important one is cognitive distortion where gamblers have a distorted process of thinking due to which they fail to identify the basic truth that gambling is not a reliable or conventional way to earn money. The distorted thought process is one of the biggest identifying factors for compulsive gamblers who cannot really distinguish between right and wrong very clearly. Another interesting aspect is that they usually seek motivation from near losses and think of gambling more as a skill than as luck. This is also the reason why they chase their losses and try to make for it. They believe that when they really win, it wasn’t a matter of luck but their effort and skill. Compulsive gamblers may also believe in superstitions, lucky charms and magical signs which is yet another proof of cognitive distortion. They look at some tables and machines as helpful and other devices as unfriendly or not so helpful which is once again just a figment of their imagination. One of the most important attributes is the fact that compulsive gamblers believe there are patterns and systems, understanding which will ensure good payouts and winning, which obviously isn’t the case. In short, they do not really believe in the randomness of the results of the patterns of the winnings. Can compulsive gambling be treated? Fortunately, there are quite a few ways in which the urge of compulsive gamblers can be treated although it needs the support of friends or family. More importantly it needs determination and a conscious effort on part of the compulsive gambler as well. One way is to join the Gamblers’ Anonymous groups where members can share their experiences and support each other against the urge to gamble. Several associations have helped rectify the compulsive gambling habits of people. Another way is to put a tight control on money and time. It is important to close out all credit cards and bank cards and hand over financial matters to someone trustworthy, so that they need to approach their friend or family member for all the expenses. This way, compulsive gamblers wouldn’t have the resources even when they decide to give in to the strong urge. Keeping a tight leash on their schedule can protect compulsive gamblers from being drawn into a situation where they would be tempted to go for gambling. It would be prudent to seek other sources of entertainment and recreation or spend time with friends or even do something more constructive so that there is no free time to give into the urge of compulsive gambling. Staying away from gaming or activities that can lead to the urge to place bets is also important. If you find yourself in such a situation, it would be prudent to constantly remind yourself about the consequences and reach out for support as soon you have the urge to gamble. This is a great way to beat the urge. Visualizing what would happen if everything goes wrong will also help restrain the urge to gamble to some extent. I have a gambling problem – How can I help myself? Once you realize you have a gambling problem the first step is to control the urge. Yes, there is no harm in feeling the urge to gamble but the truth is you have to start making better, healthier choices. This will help you resist cravings. •	Don’t shy away from reaching out to a family member or a close friend for support. As mentioned earlier, attend Gamblers Anonymous meetings. •	Distraction is the best medicine when it comes to gambling addiction. Get involved in other constructive activities or even go ahead and watch a movie or work out at the gym. •	Stay away from others who you feel could get you back to gambling immediately. You can always build a network of friends who aren’t too fond of gambling. •	Gambling means put your money on the line. Therefore, take some time to visualize how life would be with an empty bank account. A reality check can help keep you away from the reels and tables. •	Most importantly, there may be times when you slip up. However, there is no harm in learning from your mistakes. Just continue on that road to recovery. If your loved one has a gambling problem there are just as many things you could do to help them. However, it is important to be able to identify soon enough that your loved one may have a gambling problem. If he or she has become defensive or secretive about their gambling habit or finances that could be signs of trouble. Speaking of finances, if your partner may desire total control of household finances then it would be prudent to investigate. Watch out for any unusual withdrawals from your bank accounts or cash flow. In addition, check for any unusual cash advances or loans. Any increase in credit card bills or frequent borrowing from friends and family by a loved one can also be an indication of serious gambling addiction. What your loved one needs is support but the first and most important step is for the one that needs it to realize his or her gambling addiction and make a decision to quit. Once they do that then you can go ahead and provide all the help and support they need. However, do not cover up for their deeds just by constantly clearing debts in the hopes that things will get better. Neither should you blame yourself for the situation. This is the time to make positive choices and encourage your loved one to stop gambling. One of the most constructive things to do is set boundaries when it comes to finances. Become adept at money management and take over the family finances so that your finances and credit are not at risk. Consider how best to handle any requests for money. A problem gambler could master the art of asking for money so make sure you don’t fall into the trap. Seek help from other family members and friends rather than go it alone. It could be a daunting task to face the situation and provide support on your own. Therefore, confiding in a family member or friend you can trust can help you and the person with the gambling problem cope with the situation. If there are children involved it may be prudent to explain the problem to them. It would be wise to remain calm when discussing a partner’s gambling problem and its consequences. 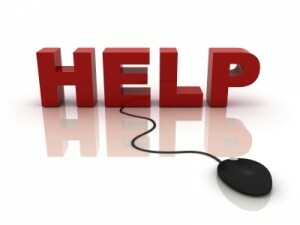 Let him or her know that you wish to resolve the problem for the sake of everyone including the children. •	Never clear the gambler’s debt as a quick fix solution or deny any existence of the problem. •	Don’t threaten them or give ultimatums unless you are confident of carrying them out. •	Don’t expect an immediate solution. Recovering from gambling addition takes time. •	Remain calm at all times and deal with the situation objectively. Last updated by Adam Fonseca on March 2, 2016 .